Winter 2019 Newsletter: Sisterhood Growth, Day of Service, Teen Chapters and Earth Day Plans! You made 2018 an exciting year for the Sisterhood of Salaam Shalom! Thanks to you, we expanded to over 170 chapters in 32 states, Canada, and Washington, DC, and we have many more on the way in both new and existing locations! We also launched our initiative for teen girls, welcoming chapters for teens in 12 locations. In November, we hosted our largest annual conference in Doylestown, Pennsylvania, and our chapters were involved with our voter registration drives and Tzedakah / Sadaqa Day programs. 2018 was also a year of unexpected difficulty and challenges. 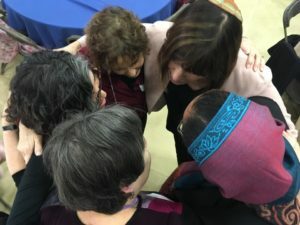 From the rise in hate speech to increased acts of violence across our religious communities, the news continued to demonstrate why the Sisterhood of Salaam Shalom is such a crucial voice at the local, national, and international level. Thanks to your generous support, Sisterhood of Salaam Shalom volunteers and staff were able to develop leadership trainings for women, offer hundreds of women and girls the tools needed to speak up against hate and to be an ally in their communities, and offer a safe harbor — a place where women can feel celebrated and respected. In 2019, we’re excited to share with you new programs, initiatives, and ways to become more involved with the Sisterhood of Salaam Shalom! Thank you for your continued support of our work and mission. We look forward to many more successes, and having many more women join all of us in the year to come. As always, we welcome your feedback and hope you will send individual and chapter updates to Samantha, our Director of Chapter Expansion and Teen Engagement, at samantha@sosspeace.org. During the weekend of November 2-4, we welcomed close to 700 women to Doylestown, Pennsylvania for our annual Sisterhood of Salaam Shalom conference. Women arriving early joined us for a restorative and interfaith Shabbat service and dinner. On Saturday evening, over 200 people attended a pre-conference interfaith concert and dessert reception and were treated to the musical work of Aslihan and Ertugrul Erkisi and Ami Yares of Intercultural Journeys, and Sisterhood of Salaam Shalom member and spoken word artist Hannah Hasan. Beginning at 8:30 on Sunday morning, nearly 700 women gathered on the campus of Delaware Valley University to hear from a variety of keynote speakers and workshop leaders. Attendees heard from Marianne Williamson, Joseph Levin, and Edina Lekovic, learned from workshop leaders during small group breakout sessions, shopped the interfaith vendor fair and met with other Jewish and Muslim peace-minded individuals. A special thank you to all our presenters, our conference committee, and everyone who made the weekend a success! Save the date for the 2019 annual conference to be held once again at Delaware Valley University. We’ll have a full weekend beginning the morning of November 1 and extending through the conference on Sunday, November 3. One of our favorite annual traditions is Tzedakah-Sadaqa Day, a time when chapters across North America perform service work for communities in need. Each year, the projects range in scope and outreach, but their creativity and generosity continues to inspire. This year, many chapters decided to support those affected by the devastating wildfires in California and directed their efforts toward raising funds, supplies, and awareness for families, churches and communities in the Paradise area. Chapters also dedicated time and energy toward their local communities. In Virginia, one chapter did an adopt-a-family type program and helped bring some holiday cheer to family in need. 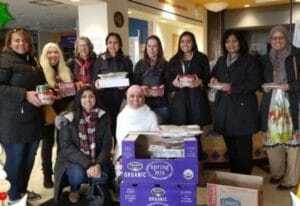 In Westchester County, New York, an adult and a newly formed teen chapter worked together to provide a meal for a homeless shelter. In Philadelphia, women volunteered at a Ronald McDonald House. The stories and photos are coming in almost daily, and we are so inspired by everyone’s thoughtful support and creativity. Please continue to share the work you’ve done on our Facebook page, through emails, and in the light of the holiday season. We are thrilled that more and more teens are finding the Sisterhood of Salaam Shalom, forming chapters and friendships and making an impact in their communities! Do you know any teen girls who would like to participate in Sisterhood of Salaam Shalom chapters created just for them? If so, please contact Samantha at samantha@sosspeace.org. This past fall, Amanda Quraishi, a chapter member in Austin and an advisory board member, traveled to California to represent the Sisterhood of Salaam Shalom as part of the Facebook Community Leadership Program. There, during several days of seminars and lectures, she devised a program for and was awarded a generous grant from Facebook to support teen programming! We are honored to have had the chance to share our mission with a larger community of leaders and change-makers, and we’re even more excited to see the growth and influence of our teen chapters. Over the next seven months, several teen chapters will be participating in a dual part leadership training initiative put together by our very own Janet Penn and Amanda, as well as a separate service leadership program. Each chapter will be granted seed money to implement a service project in local communities, a project designed and carried out by each chapter! In support of this program, we have added staff dedicated to our teens. Samantha Facciolo, in addition to her role as Director of Chapter Expansion, will now serve as Director of Teen Engagement as well, and Olivia Rotter, co-leader of the West Hartford teen chapter, will be our first teen intern. 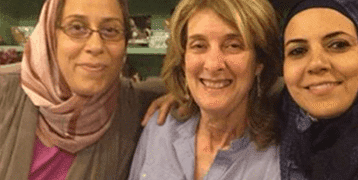 Finally, board member Annette Rotter and Amanda Quraishi will be supporting the growth of our teen programs. 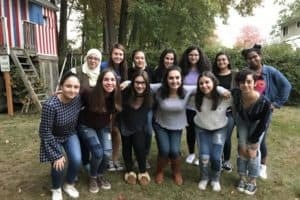 As part of the Facebook grant program, several chapters will be featured in mini-documentaries, and the Sisterhood of Salaam Shalom will be able to award scholarships for over a dozen teens to attend the 2019 annual conference. Already, we have been inspired and amazed at the commitment and tenacity these girls have shown in their dedication to embracing one another and standing up to hate. We can’t wait to see what the next several months bring! 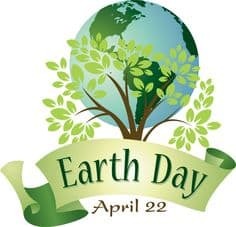 This year, in recognition of our commitment to the environment and preserving natural resources for future generations, the Sisterhood of Salaam Shalom is celebrating Earth Day. We all share the earth and we all need clean air, clean water, and fertile soil. Let’s show our communities how we can work together to protect these precious gifts! Speak to your sisters now about planning an Earth Day Service Project for April. Our new Sisterhood of Salaam Shalom Earth Day Guidebook has all the information you need. You can also watch this presentation from the co-leaders’ webinar last month. We will be discussing our potential projects in the Sisterhood of Salaam Shalom Facebook group. Just look for the hashtag #SalaamShalomEarthDay! Both Islam and Judaism teach that saving one life is tantamount to saving an entire world. In taking action together, we have the opportunity to contribute to saving many lives and many worlds. Sisterhood of Salaam Shalom Shop Is Open! You asked and we answered! 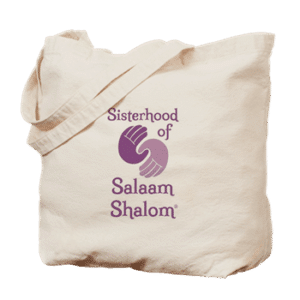 Be among the first to check out our new shop, now live on CafePress, and purchase Sisterhood of Salaam Shalom apparel, hats, drink ware, accessories, tote bags, and more! Rise up and show off your Sisterhood of Salaam Shalom pride!